I was walking through Target. I was there to return some sandals I bought on impulse last week when I was killing time before going to see my dad for breakfast. I was early and there’s Target right down the street and, well, it seemed like a good idea at the time. So I went yesterday to return the gold platform sandals (okay, fine, I should have known) and while I was there I decided to pick up some dishwasher detergent, shampoo, dental floss, soap, and a pair of peds. And while I was walking past the intimates, I saw something. Gilligan O Malley Sleepwear‎ with built in support. BUILT IN SUPPORT! Lounging free and easy just doesn’t feel quite right. For those of you without older kids, you may not understand why this is a thing. But trust me, it’s a thing. Talk about a product that solves a market problem. OMG, this is so awesome. 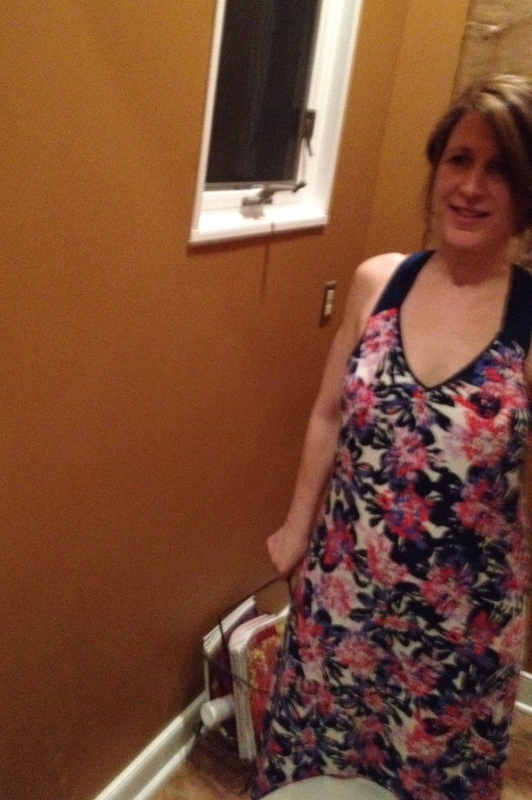 And this nightgown is soft and comfortable and wonderful. I love it. OH and did I mention that it was on sale for $7.48? It was. I think there’s a real market for this…even at full price. I fear you have a typo–you said “older kids”–I think you meant “any kids” 😉 I fear I now also may need to head to Target to get curtains I don’t need, a side table I don’t need, fun sunglasses I don’t need, cat litter liners that I do need (to justify this trip), and check this nightgown out!! You are so funny! Enjoy your Target trip & let me know if you buy a nightgown!